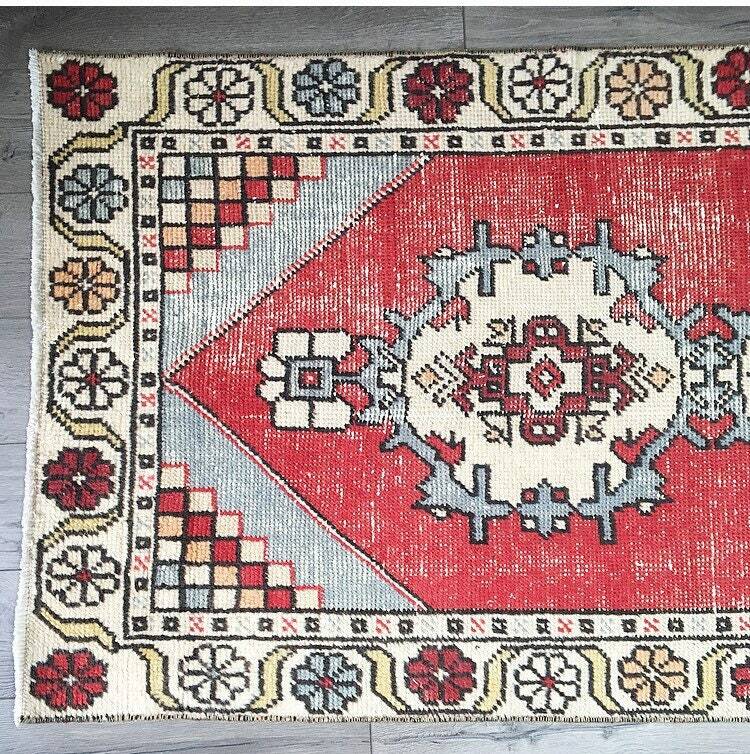 A classic stunner. 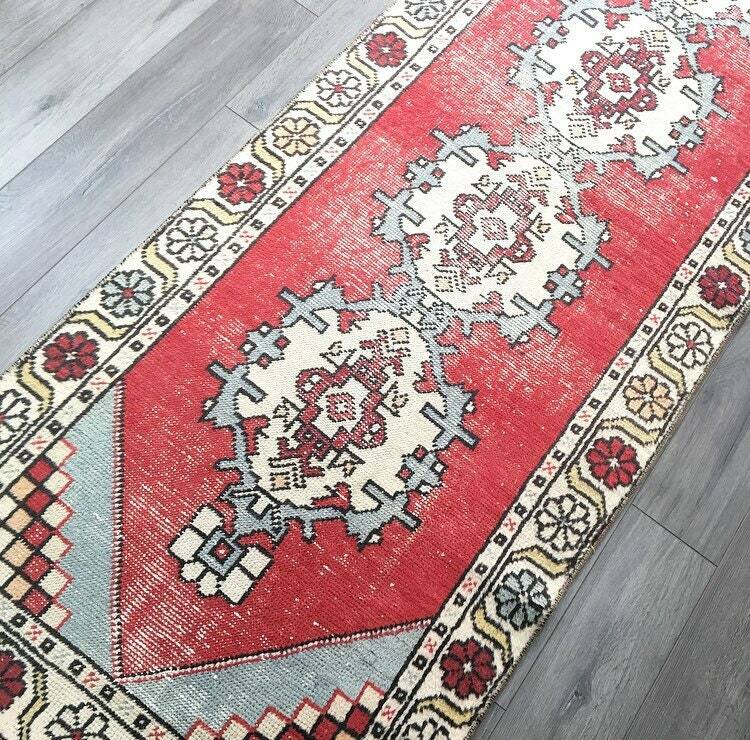 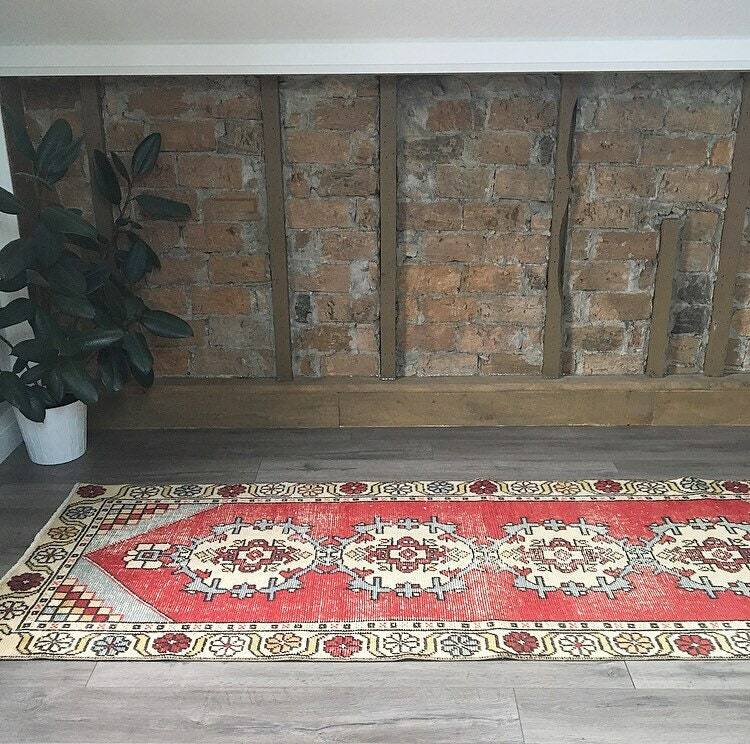 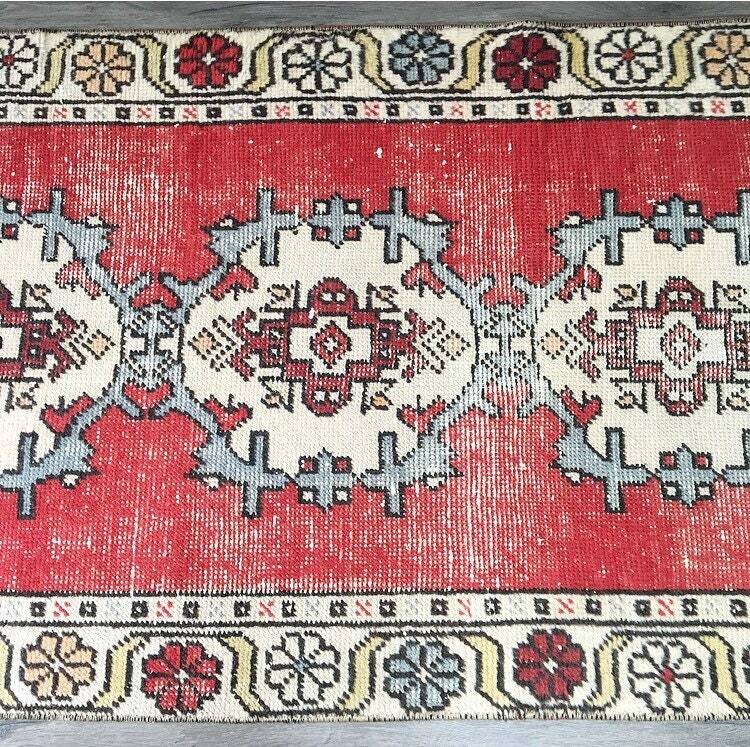 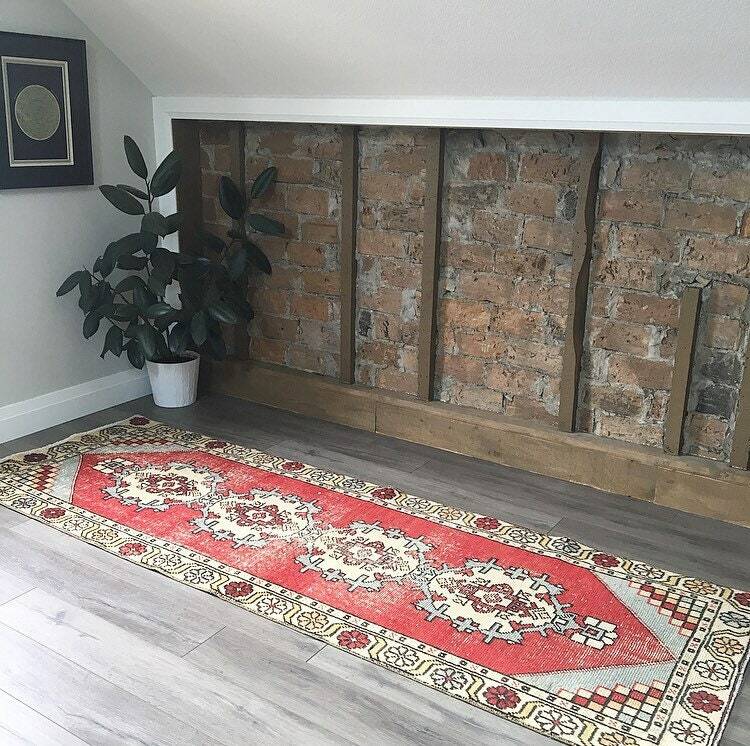 This Turkish Oushak rug was hand-knotted in the 1940s and the red and grey details have been preserved beautifully. 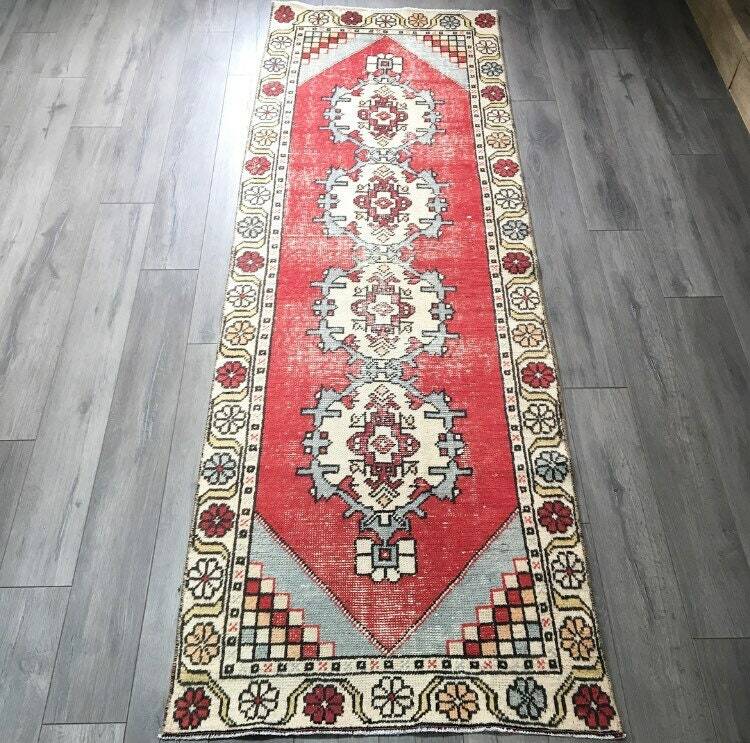 This faded rug is in excellent vintage condition and has beautiful details along its entire length. 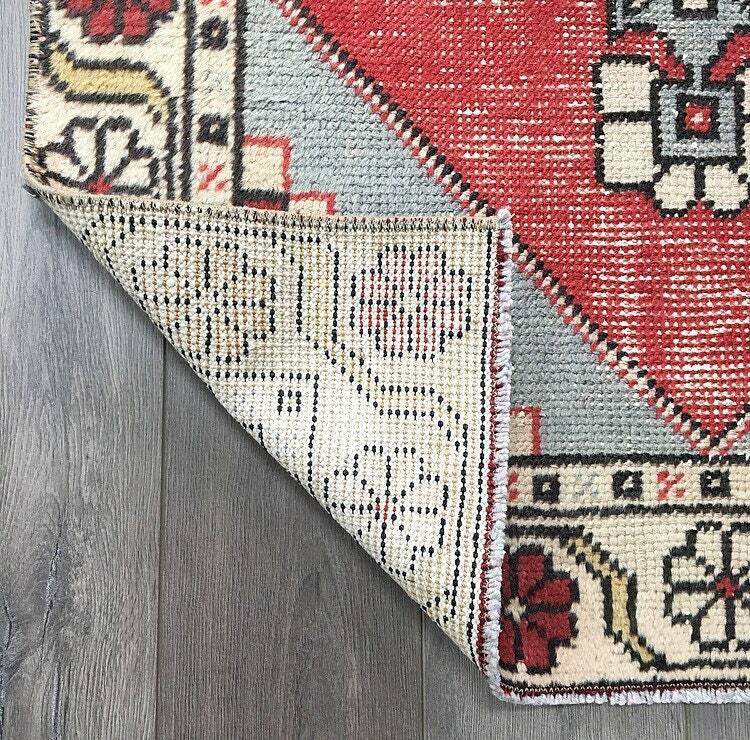 It’s a perfect runner size for a kitchen, hallway, or in front of a sideboard - this rug is durable and will be with you for a lifetime. 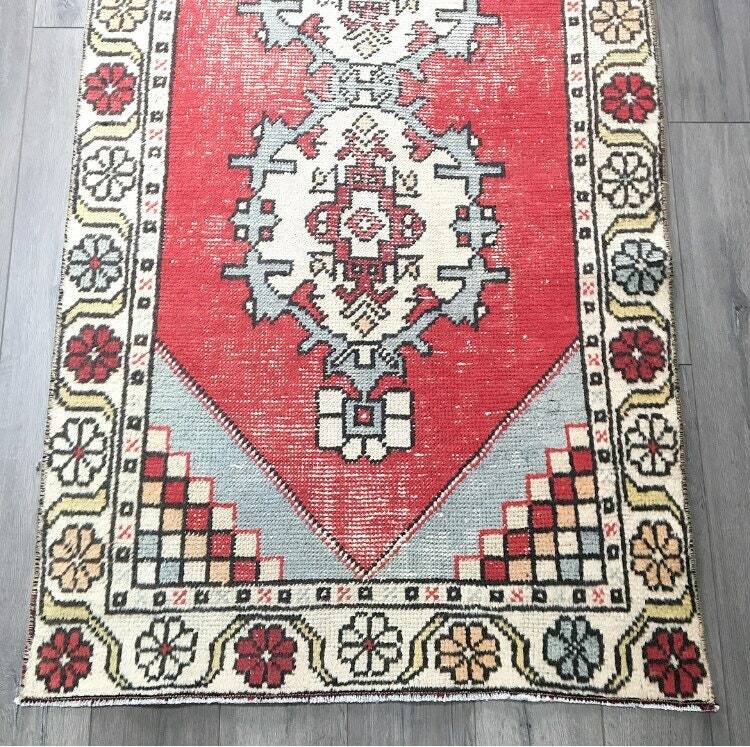 This rug has been professionally cleaned and is ready for your immediate use. 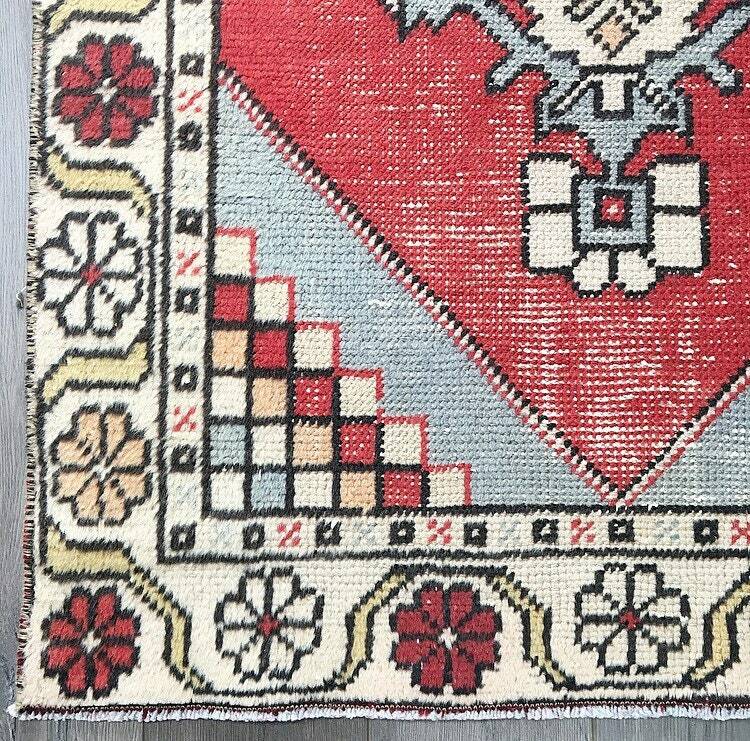 Ships within 1-2 days - see shop details for shipping options to US and Canada.